We're so very happy and excited to introduce you to our Office Supplies brand "Save Solid"
founded at the end of 2016.
and will ensure you a durable and long-lasting experience! reduce the risk of leg fatigue. Obviously with our happy Service that you deserve. WHAT MAKES THIS YOUR RIGHT CHAIR MAT??? ✔ Durable & High Quality! 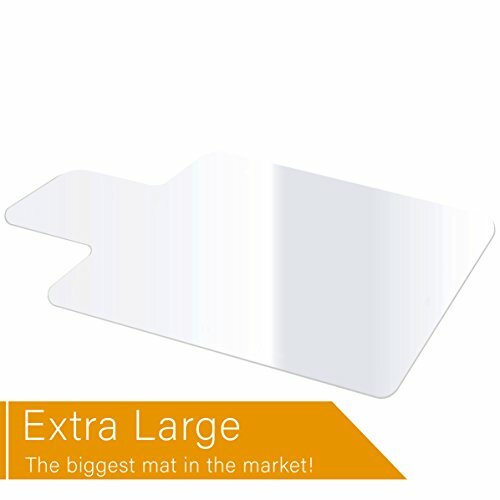 ✔ 1/8" thick, The thickest mat in the market! ✔ Satisfaction Guaranteed and RISK-FREE! back your product anytime if you are not happy with it. EXTREMELY DURABLE: Long-life, Build to last, the toughest and most durable mat available! PLEASE NOTE: Not recommended If usage is over 8 hours or 200+ lbs. PROTECTIVE: This extremely heavy duty chair mat will prevent hard floor wear and tear caused by office chair casters, and will allow your chair to move freely while carrying out daily tasks. ONE YEAR WARRANTY - Save Solid stands behind all of its floor mats for office chairs 100%. The Office Floor Mat comes with an automatic 1 year warranty. No questions asked! If you have any questions about this product by Save Solid, contact us by completing and submitting the form below. If you are looking for a specif part number, please include it with your message.